Facebook is a world class social media platform, that gives it’s user the option of quickly searching for a person, page, group, service, etc., without having to go through several pages to get what they are looking for. Facebook for several years has been the choices of so many social media users as it offers several thrilling options to its users. This has made it stand out and among other social media platforms, thus steadily increasing the number of its users. However, every time you make a Facebook search on anything – from searching for an ex (we have all done that) to searching for a Facebook page of your most loved celebrity. It gets stored as a part if your Activity Log. This activity, however, is stored as private, which means it can be seen by only you (and maybe Facebook), so it is not in anyway a violation of privacy. Facebook says the reason for storing these searches is for showing you relevant subsequent search results. 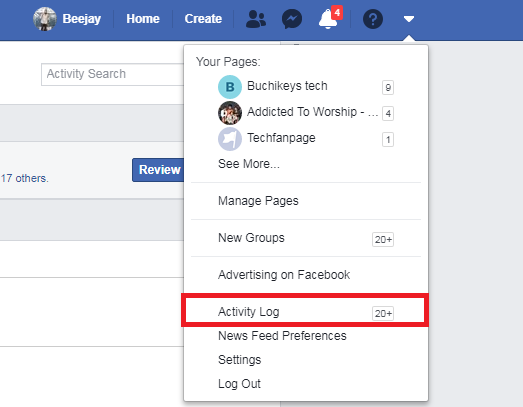 Perhaps you want to view your Facebook search history in order to find something you forgot or to see your most frequent searches or just for fun and exploring the Facebook environment, then it is quite easy to find. 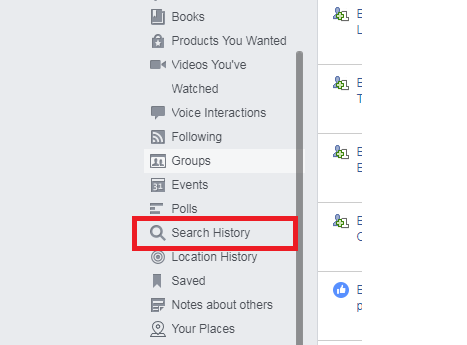 In this post, I will be showing you how to view search history on Facebook; so let’s get down to it. 1. 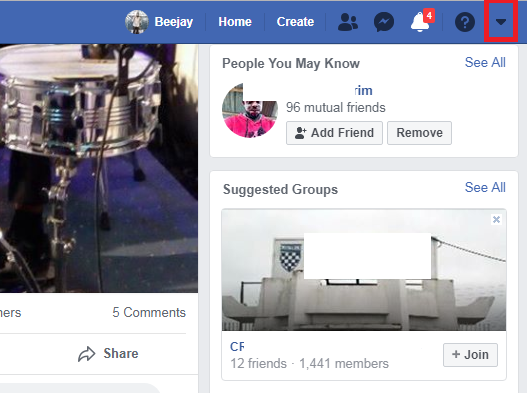 Open and log in Facebook.com on your PC. 2. Click on the down-facing arrow at the top right. 3. Click on Activity Log. 4. 4 On the left-hand side, look at the side where it says Photos, likes, and comments, and click on more. 5. Next, click on search history from the list on the left. All your search history will be displayed on your screen. Q: Would Facebook search history show a query I have searched for more than one time twice? A: Yes. Your search will be listed according to the date you made the search. If you search for either a name, page or group twice, then it would also be listed in the search history twice but on a different date or time. Q: Is there any shortcut for quickly viewing this search history? A: For now, I would say No. But since Facebook is an ever-developing social media platform, this feature may be added soon. But for the main time, you just need to go through the above-listed procedures to view search history on Facebook. 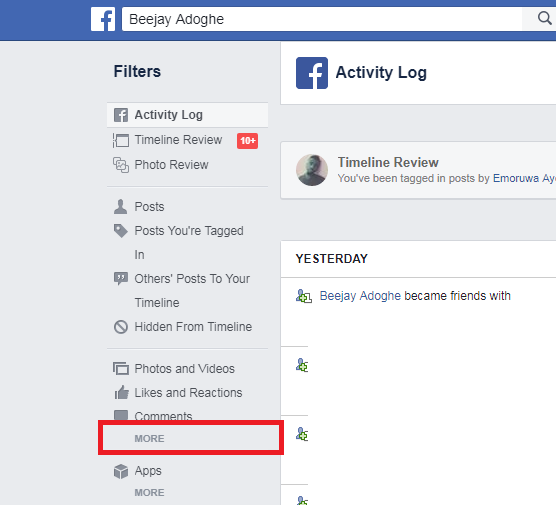 With this post, I believe I have been able to solve the puzzle for someone or people out there who have been looking for a way to view their Facebook search history. Simply turn on your PC and see if you can get this done. Thanks for stopping by. I hope this article has been helpful.